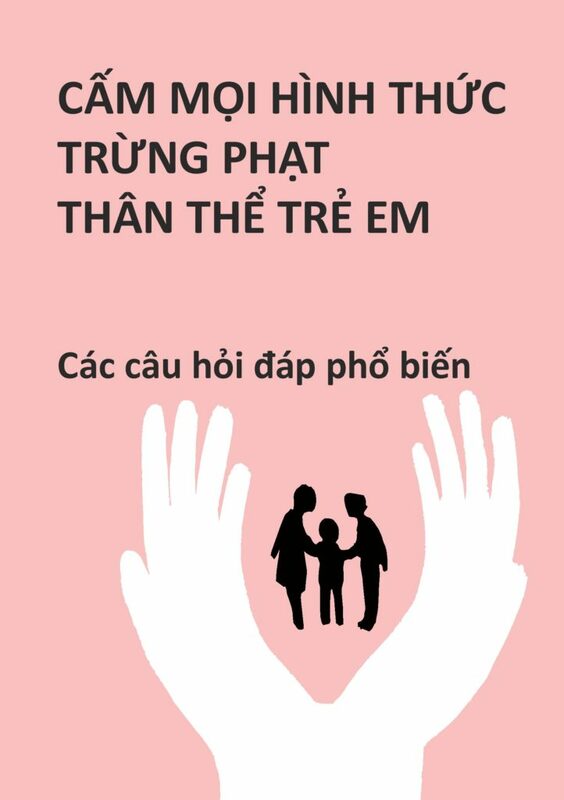 The Global Initiative and Save the Children Sweden are delighted to present our series of booklets answering common questions about prohibiting corporal punishment of children in Vietnamese, produced in partnership with Save the Children Vietnam and MSD Vietnam. The first booklet answers the most frequently asked questions and dispels common misconceptions about the reasons for a legal ban and its impact on families; the second booklet aims to answer these questions in a way that is accessible to children and young people. The final booklet provides answers to some specific questions that often arise in relation to prohibition of corporal punishment in schools and clarifies the key issues involved for educators and learners. These booklets should give parents and carers, government officials, education professionals and others the confidence to support and pursue legal reform and move a step closer to realising children’s right to protection from all forms of violence in all settings. The booklets are available to download now in twelve languages.